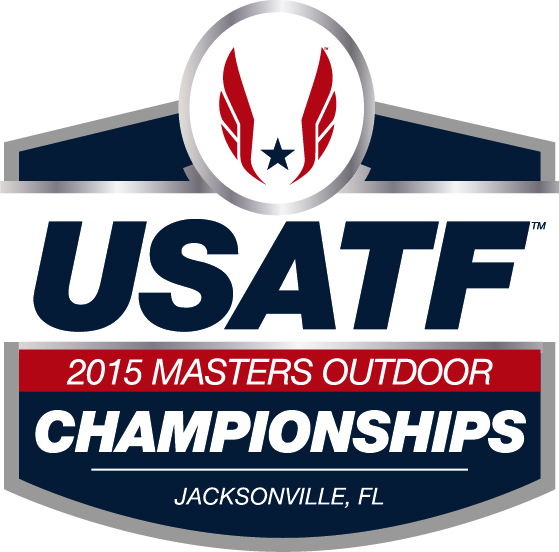 Over the weekend nine (9) Indiana residents competed in the USATF Masters Outdoor Track & Field Championships in Jacksonville, Florida. The athletes competed in a total of sixteen (16) events during the four day meet held on the campus of North Florida University. Six (6) athletes brought national titles back to Indiana with them. In total, Indiana athletes visited the awards podium, for finishing in the top three in their event, a total of eleven (11) times over the course of the meet. Leading the Indiana medal haul were the pole vaulters as they claimed four of the six national titles. In the women’s competition Brenda Babits (Fort Wayne / Vault High Athletics) and Karen Rieger (Indianapolis) won the W55-59 and W50 titles, respectively. Babits, who recently moved up to the M55 division, cleared 2.30m ( 7-6½) to win her third national title in 12 months (she won the W50 indoors in March and the W50 outdoors last July). Ringer cleared 2.10m (6-10¾) to win her title. As with the women, the men also swept the pole vault titles for the 50-54 and 55-59 divisions. Chet Clodfelter (Roachdale, Ind.) won the M50 title with a vault of 3.95m (12-11½). Clodfelter also finished a close second in the high jump with a clearance of 1.75m (5-8¾). He actually matched the winning height by Scott Rick but lost the jump-off to determine the title. Gary Hunter won the M55 pole vault title, picking up his tenth masters outdoor title in a row, with a clearance of 3.65m (11-11¾). While not pole vault titles, but just as impressive, were wins by Robert Thomas(Indianapolis) in the M45 400m and Chris Buckler (Patoka, Ind.) in the M35 Shot Put. Thomas ran a strong final 40m to take the victory over Georgia's Don Drummond 52.72 to 52.88. Thomas also finished third in the 200m running 23.65. Buckler threw the 16 lb. shot put 10.31m (33-10) to win his first national masters title. Buckler also came home with two silver medals for his second place finishes in the Hammer Throw and Discus. Also reaching the medal podium was Latashia Key (Indianapolis) as she placed third in W40 5000m. She was also sixth in the 1500m. The 2016 championships will be held July14-17 in Grand Rapids, Michigan.